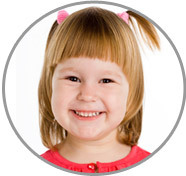 Fairfax County Nannies through ABC Nanny Source are truly a cut above the rest! Tamira has been caring alongside Fairfax County Nannies and loves providing a trusting and loving environment for children. "If I was asked to describe in one sentence the reason I have chosen to be in the Nanny profession over any other it would have to be because I truly love being with children. I have been serving in some form of childcare experience for over 8 years and can honestly say I love what I do! I feel that children are caring, loving, fun, important, and special. My goal as a Nanny is to be a good role model and to make sure they are safe. I am willing to do housekeeping that includes laundry, light cleaning, and dishes. If I had to describe myself in five adjectives I would say that I am responsible, caring, honest, trustworthy, and patient. Activities that I would like to incorporate in the daily plan for the family I care for would include interacting with toys, games, sports music, cleaning, organizing other planned activities. If asked to describe the perfect family seeking a Nanny like me I would hope they would be happy and fun." "Tamira is such an amazing caregiver! I couldn’t ask for someone better to care for my children. Tamira is a professional young lady who is passionate and dedicated to helping others. She always did whatever I asked of her without question and was very flexible with my schedule. A few times I have asked her last minute to care for my children and she never hesitated to help. Even if I needed her overnight, she never complained. Tamira would help my boys get ready for school and even made sure my daughter was well cared for in the mornings. I highly recommend her as one of the best Fairfax County Nannies! We all adore her." "Tamira went above and beyond her duties and took amazing care of my son, who has a special needs. We still keep in contact to this day. Tamira is a kind hearted, fun, and loving person and has brought a lot of joy to my son’s life. She has been attentive to all of his needs. She is a wonderful nanny, I’m so grateful we had found her! Tamira did everything she could to make my son happy and comfortable, and gained his trust very quickly. I don't trust just anyone with him, and she definitely proved to be the right choice for our family. I recommend her wholeheartedly!" "Tamira fulfilled all job requirements with us and she is just wonderful with our son! Tamira has been caring for my son and providing him with tutoring also. He has improved so much in his studies! He now has so much more confidence, thanks to Tamira! Our experience with her has always been positive! She is helpful, an educator, organized, and most certainly qualified to be a Nanny! She makes learning fun! I am so thankful we found her out of all Fairfax County Nannies." "Tamira has worked with small groups as well as whole groups of children in the daycare. She works great with all ages! She is extremely dedicated to her work and is an over-achiever! Tamira puts everything into what she does and it is very clear that she loves children! She is also dependable and is always on time or even early. I think any famiyl would benefit a great deal from her vast experience and know-how. Without a doubt, she is an amazing childcare provider. I cannot recommend her enough."